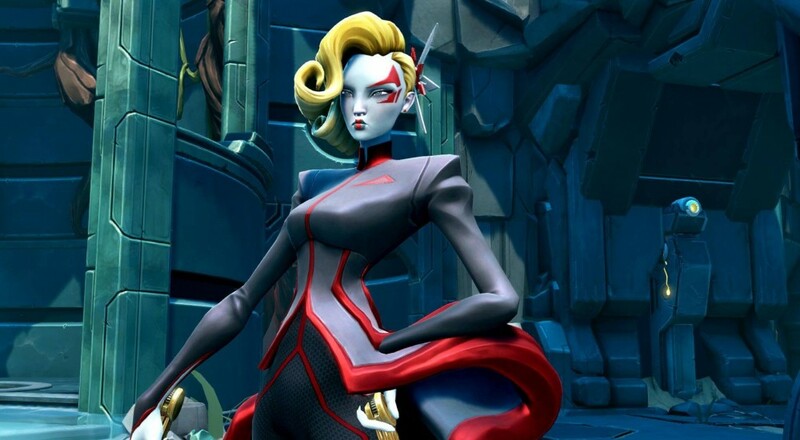 The two most recently announced characters for Battleborn, Deande and Ghalt, are giving us a sneak peak at their abilities in a couple of new character highlights. Deande exudes elegance with her high-speed, close range fan attacks. It looks as though she has a ranged weapon she stashes in here hair and can use as a katar. Her moveset includes a ranged attack as well as an area attack. If you prefer running into battle dual-wielding shotguns, Ghalt is your character. In addition to the shotguns, Ghalt can lay shrapnel mines. Judging from the video, these mines can have different elemental properties to do major damage to opponents. Enemies further out can be pulled toward your mine with a quick chain grapple. The large 25 character roster ensures that all players can find someone that matches their playstyle. Battleborn launches May 3rd on the PC, Xbox One, and PS4. Page created in 0.2666 seconds.